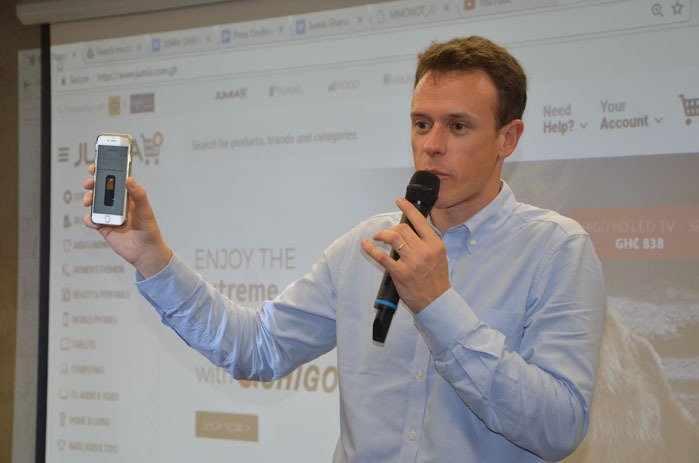 TechInAfrica – Sacha Poignonnec is a Co-Founder and Co-CEO of Jumia Group, one of the largest e-commerce in Africa. He discussed the reasons why e-commerce sector in Africa has a great opportunity for business growth, both for small and big companies. According to Poignonnec, Africa’s is a great market for e-commerce. This statement based on his experience when Jumia first opened its platform in Lagos. At the time, Jumia was new in the market and nobody knew it. However, interestingly, there were ten consumers bought mobile phones via the platform, right on the first day of the opening. More interestingly, African customers sometimes aren’t hesitated to purchase expensive products. Therefore, based on this experience and with the big population—more than one billion of people and 400 million of them connected to the internet—Poinonnec is sure about the future of e-commerce on the continent. Africa is the second largest internet users in the world after China. This is a big potential for the e-commerce sector to grow on the land. However, the bad infrastructure is still quite a challenge for the sector as it requires goods distribution to customers. As for customers, e-commerce helps them to find goods and shops more efficiently as long as they are connected to the internet. It’s a new and a better way to access goods and service while previously, it was a hard thing to do without the internet. As mentioned before, the biggest challenge in the e-commerce sector is in logistics due to the lack of infrastructure. In most African cities, there’s no address system which makes it more difficult to find a customer’s address. Usually, what happens is that the courier asks a local partner about the location. Without information from the local, it will be more difficult. Despite the logistics challenge, Poignonnec strongly believes that e-commerce provides a secure and affordable way for small businesses to grow because it does not require a bigger investment. Yet, with a small investment, you can reach more customers.